It’s that time of the year when we all hit the gym, resolving to eat healthier, work off those Festive Season love-handles, visit our doctor, swallow our vitamins, meditate and whatever else we need to transform us into super-human versions of our former selves. But what resolutions have we made to ensure the health and well-being of the furry family-members in the coming year? Twisted Whiskers staff have put together their top 4 Pet Resolutions to provide some inspiration. Resolution #1 – I will plan ahead for my pets’ health expenses. All pets require annual check-ups and vaccinations to ensure that they’re in good health and protected against contagious diseases, but what about those unforeseen medical expenses? Make it a priority this year to research pet health insurance options so that, in the unfortunate event of an accident or emergency, you can give your pet every opportunity to recover, without having to make heartrending decisions based purely on finances. 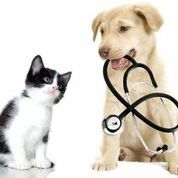 There are also pet health plans which help with routine expenses like vaccinations, blood tests and dental procedures. 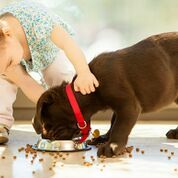 And what about putting together a budget to cover top-quality nutrition, grooming and regular outings and activities for your pet? A dedicated savings account for pet expenses is also a great option. Resolution #2 – I will ensure that my pet is at his ideal body weight and on a healthy diet. Pet obesity is fast following human trends with 2 out of every 3 pets falling into the overweight or obese categories! Carrying extra weight predisposes pets to a number of debilitating and even life-threatening conditions like diabetes, heart disease, urinary tract infections, breathing difficulties and joint pain, as well as increased anaesthetic risk. Discuss weight management with your vet or a Twisted Whiskers team member – we stock an extensive range of “light” and weight reduction diets, and we run the Hills Pet Slimmer Programme at all of our branches. Our trained staff will happily assist with a tailored diet and exercise plan to get your flabby furball back in shape. Get the whole family on board (including the chief culprits that sabotage our efforts to slim down Humungous Harriet or Chubby Charlie by sneaking them treats!). Each person in the home can help to increase the pet’s activity level and metabolic rate. Your combined efforts will be both fun and rewarding: soon your roly-poly, “lay-about” will be transformed into a lean ‘n’ mean toy-demolishing-machine! Resolution #3 – I will prioritise the care of my pet’s skin and coat. Parents of long-haired dogs and cats understand just how stressful it can be to manage an unruly coat that seems to experience spontaneous matting when their pet merely contemplates a jaunt in the garden. All dogs and cats should be brushed regularly at home (daily for long-haired breeds, and twice weekly for short-hairs) for a healthy coat and to avoid excessive shedding and painful matting. 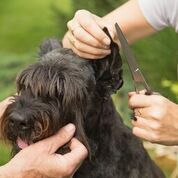 Those breeds requiring specialised grooming need to visit the parlour, on average, once every 4 to 6 weeks at least, or more often to constantly look their best. Pop into Twisted Whiskers for advice on maintaining the health of your pet’s skin and coat – we’ll recommend the best tools and products for the job and demonstrate the correct techniques for detangling and brushing coats out effectively. And why not take advantage of our repeat booking system to pre-book your dog or cat’s grooming appointments for the year? This way you’ll always have the time slot you prefer and, with our courtesy sms reminders, there’s no chance that your pets will miss their visit. Remember that we also offer a collection and delivery service – pets travel in style in our fully air-conditioned, compartmentalised Pet Limo! 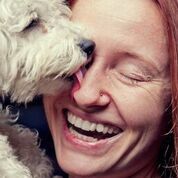 Resolution #4 – I will interact more with my pets and provide stimulation for them. As much as we adore our furkids, when life gets hectic, they sometimes become peripheral to our other responsibilities. We need to bear in mind that while we have all these other distractions to keep us busy, WE are literally the very centre of our pets’ world. They dread the moment we leave for work or school in the morning and they live for the moment when we return. While pets need to be socialised properly to be able to cope with these comings and goings, it’s also vital that we provide an environment that is stimulating enough to support them in this. 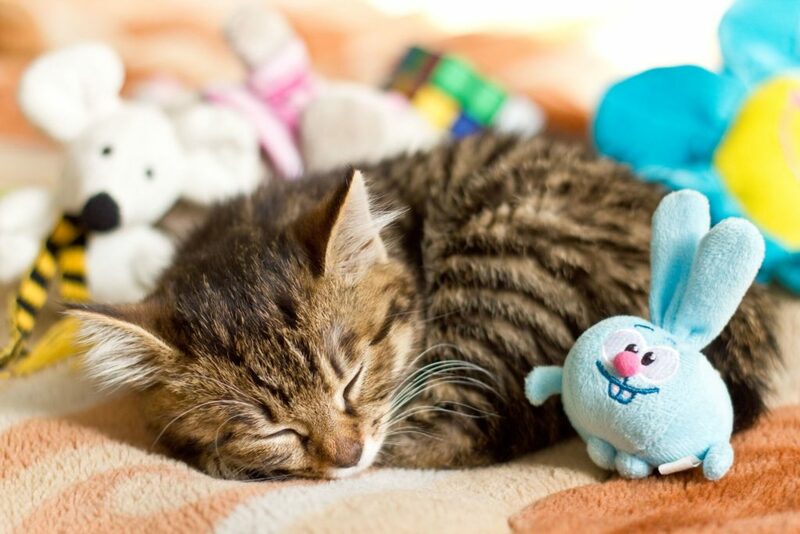 Ensure that your pets have plenty of interactive toys/activities to keep them busy and engaged in your absence (think toys stuffed with treats, durable chews, designated digging areas or water features to play in, or specially designed “cat furniture” to provide indoor kitties with aerial entertainment). Consider signing your pooch up for Doggy Day Care a couple of times a week, so that he can socialise with other dogs and participate in a host of exciting games and activities, designed to enhance his mental well-being. Reputable dog walkers can also help exercise your dogs. And take your pets along with you on as many adventures as you can. Whether it’s an outdoor ramble at your local park, Emmarentia dam or Walkhaven, or a trip with you in the car to buy the newspaper or drop off the kids at school, dogs thrive on any opportunity to share activities with you and experience new things through all their senses. Indulge your cat’s hunting instinct by engaging her in a game of chase before her dinner (feather toys or laser pointers are perfect for this). Or ask your vet or behaviourist for advice on harness-training cats, so that she can safely accompany you on short walks around the estate. Pet New Year’s Resolutions are a super way for the family to get together and brainstorm ideas on how each member will make life more fun, fulfilling and healthy for their furbabies this year. They give us so much unconditional love (and the odd grey hair) and their well-being deserves to be prioritised before the general mayhem of the new year intrudes. Next: Next post: PET FOOD – FEASTS, FEARS AND FADS?